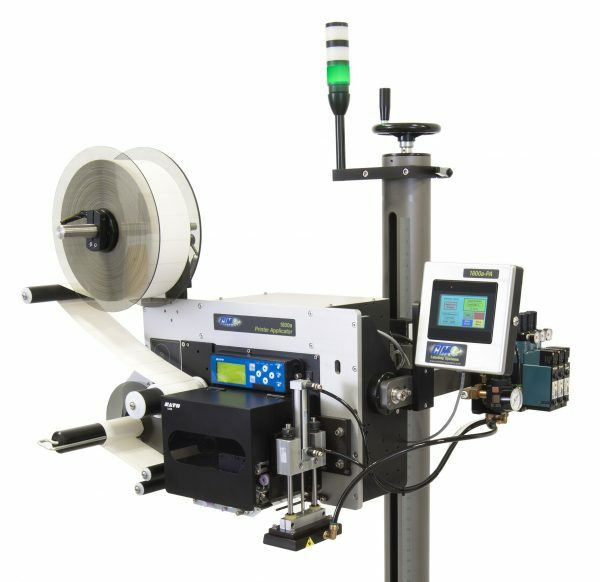 The 3600a-PA Dual Action Tamp (DAT) Printer Applicator is a high speed, thermal transfer labeler used to print and apply pressure sensitive labels that can be programmed for single or two panel labeling applications applied to various cartons, cases or pallets. The single panel can be applied to either the front or the side. 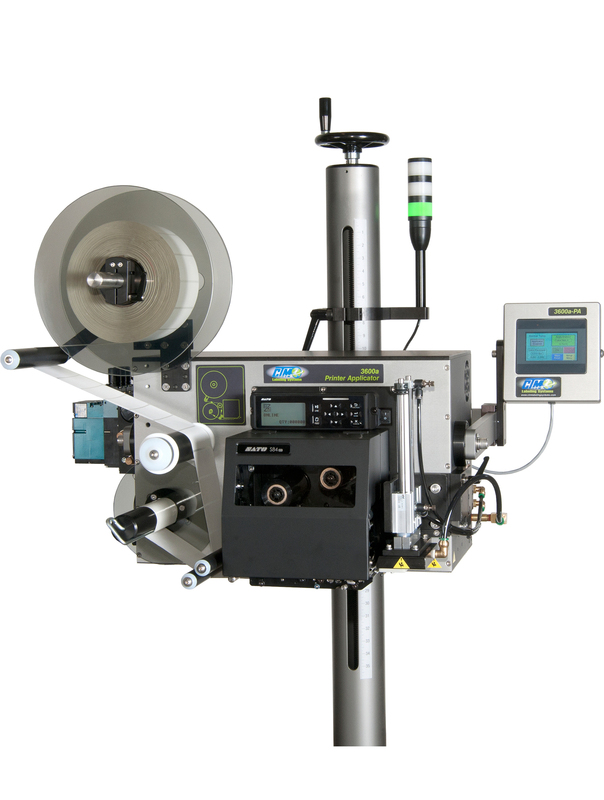 Sato, Zebra or Datamax print engine integrated into the applicator to print variable data. 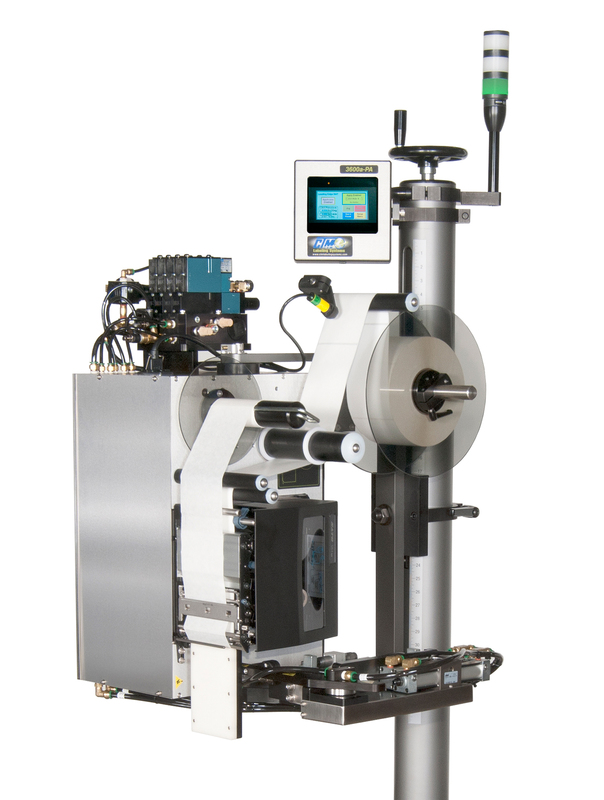 Can be mounted in almost any position to apply labels to the leading, side or trailing panels of various products. 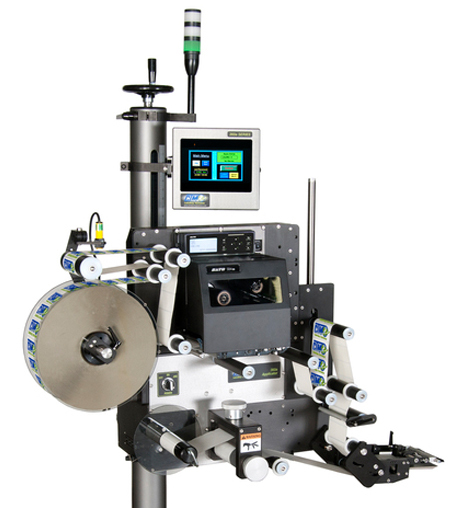 Mounting can be oriented up or down depending upon label size and position on the product. 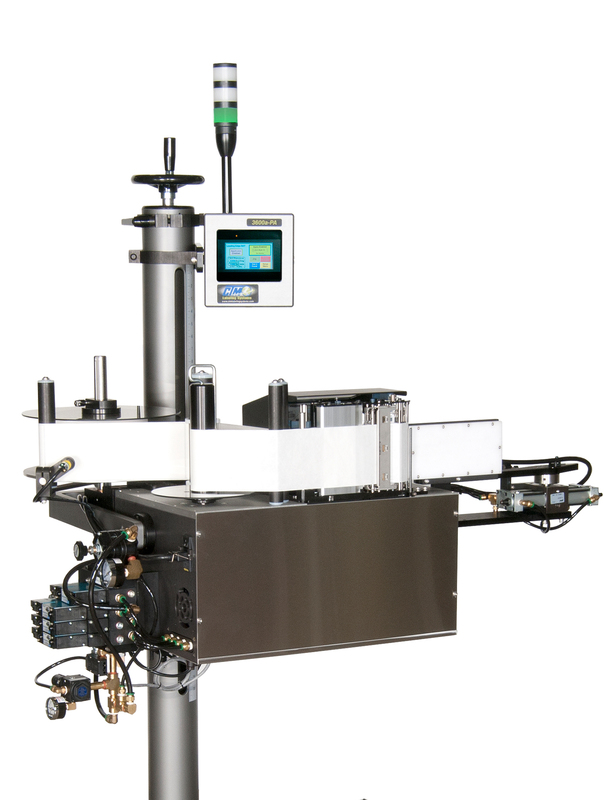 Short height actuator assembly allows the unit to reach over a conveyor to products which are not at the edge of the conveyor – 4″ tall labels can be located 1/4″ from the bottom of products. Micro PLC with Operator Key-Pad and 2-Line Display For Print Speed, Fonts, Bar Codes or Graphics.